Designed for a couple with a passion for the simplicity and elegance of Scandinavian design, this 3200-square-foot home stands apart from its neighbors, according to architect Paul Sterner. This Arkansas beauty does not house the builder, yet he lovingly crafted it as if it were his own. Custom builders don’t just build houses. 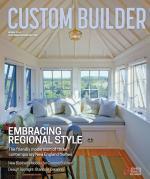 The good ones build relationships with clients, with subcontractors, with vendors. Chicago-area architect Charles Page is particularly sensitive to what his market is looking for in a house-luxury, comfort, and plenty of room for visitors. Chris Morgan recently opened his new home-a 9000 square-foot French-provincial style residence in Windemere, Fla., near Orlando-to more than 30,000 of his closest friends. After recently building his personal residence, custom builder Chris Morgan has a fresh appreciation for those on the other end of the home-building process-his clients. Designed and built for devotees of the Frank Lloyd Wright style of architecture, this 5500-square-foot home commands a nearly 360-degree view of the manicured fairways of two championship golf courses from its hilltop site in Lemont, Ill.
Doug Graybeal, Dominick Tringali and Louis Narcisi share their thoughts on the home design process. Situated on a spectacular lakeside site in Orlando, Florida, this 10,187-square-foot custom home demonstrates that a residence can be both breathtakingly elegant and tremendously comfortable to live in at the same time!